To help celebrate the release of City Weekend, the first Oliver + S fabric collection, the Martha Stewart Crafts Blog featured this free sewing pattern. 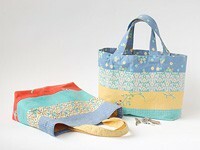 The Mother-Daughter Tote Bag can be made for both adults and children. 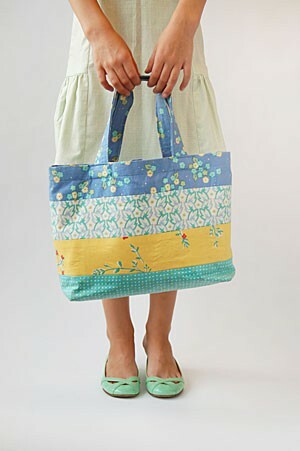 The free pattern for this bag includes a divided inside pocket for keys and other small items. It’s great for the basics you can’t leave home without: a book, cell phone, sunglasses, and wallet. It also makes a cute little lunch tote. This is a fun project to show off a few of your favorite prints. You can make pattern pieces from the measurements we’ve provided in the downloadable project sheet, or you can cut the fabric directly based on those numbers.